Loess–paleosol sequences preserve records of climatic change during the Quaternary, which is important for paleoclimate study. In this study, a loess-palaeosol sequence from the Chumbur-Kosa (CK) site in the Sea of Azov region was investigated to reconstruct climatic variability during the Marine Isotope Stage (MIS)11- MIS 1, using proxies of grain size (GS), magnetic susceptibility (χlf and χfd(%)), carbonate content (CaCO3%) and soil color. The results enabled formulation of a detailed description of the climatic characteristics related to each individual layer. The sequence indicates that the paleoclimate shifted progressively towards increasingly cooler, somewhat drier conditions. The CK section may thus be ideal for reconstructing climatic conditions during the Middle and Late Pleistocene in the Sea of Azov region. However, the χlf value of paleosol S2 in the CK profile indicates different characteristics from the other paleosol layers, dilution of carbonate resulting from carbonate leaching in L2 may be the main reason for the decrease in magnetic susceptibility. Furthermore, through simple analysis part of the environmental evolution process in the Sea of Azov region and Serbia during Middle and Late Pleistocene cycles. The climate cycle expressed by χfd(%) and χlf variations show similar patterns, with rapidly alternating cold and warm intervals. 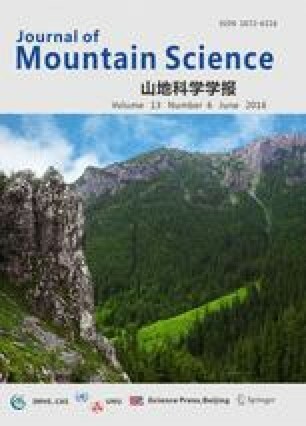 Nevertheless, although the two areas had different climatic regimes, geographical settings, and loess source areas, both exhibited similar climate change trends since the MIS 11.